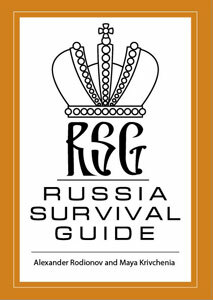 Tsar Events' RUSSIA SURVIVAL GUIDE with Maya Krivchenia: Venues of St. Petersburg — SECRETS OF STROGANOFF'S WINE CELLARS #RussiaSurvivalGuide The Russian Empire Restaurant is housed in one of the oldest and most luxurious mansions of St. Petersburg, in the Stroganov Palace that stands in Nevsky Prospect, the main street of the city. The restaurant consists of five opulent halls; each of them has its own style and character. The attention to detail is breathtaking, the finest porcelain, gold cutlery and the engraved walnut furniture amaze. The cellars have been totally transformed. New Episode of Vlog on YouTube Tsar Events' RUSSIA SURVIVAL GUIDE with Maya Krivchenia» is devoted to Russian Restaurant Petrusha. Please, check it here. At the intersection of Konnogvardeysky Boulevard, 4 and Konnogvardeysky Lane, the restaurant of Russian cuisine Petrousha (Petrusha) was opened. The former barracks of the Life Guards of the Equestrian Regiment have thus finally turned into, perhaps, the most famous restaurant address of the Northern Capital. New Episode of our own Vlog on YouTube Tsar Events' RUSSIA SURVIVAL GUIDE with Maya Krivchenia» is devoted to the first real American style steak house in Russia — STOGANOFF STEAK HOUSE Please, check it here.